A bill intended to strengthen domestic manufacturing and create new technological innovations was introduced into both houses of Congress, according to a White House blog post. Representatives Tom Reed (R-NY) and Joe Kennedy (D-MA) sponsored the Revitalize American Manufacturing and Innovation Act of 2013 (RAMI) to grow the number of institutions dedicated to producing advanced technology or processes to benefit the manufacturing industry. "These institutes bring together companies and universities, supported by Federal agencies, to co-invest in world-leading manufacturing technologies and workforce capabilities, giving our workers and firms the tools they need to compete," Director of the National Economic Council Gene Sperling and Special Assistant to the President for Manufacturing Policy Jason Miller wrote for the blog. The bill, worth $600 million, would help acquire resources needed for a network of manufacturing innovation institutes, which is based on a pilot program located in Youngstown, Ohio. Federal funding that is budgeted for the program along with private and public investments would be used to create manufacturing institutions that work to develop technologies and techniques that may increase the U.S.'s capacity to compete in a global market, according to the Boston Globe. Other goals include increasing manufacturing production and advancing the industry's workforce. After seven years, the institutions would require money from outside sources to operate once federal spending recedes. The act would implement the president's goal of a National Network for Manufacturing Innovation in developing 45 institutions over the next decade by expanding the number of institutions by three within 2013. 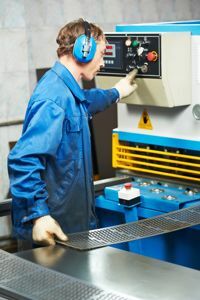 The institutions would concentrate on a manufacturing process, technology or technique. "The goal is that the technology that is developed out of this would have important commercial uses," Kennedy said.